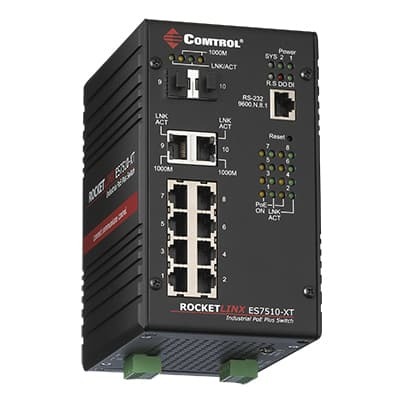 Managed Power over Ethernet Industrial managed switch, eight PoE Plus ports and two Gigabit ports, IEEE 802.3af and IEEE 802.3at compliant, extended operating temperature range. 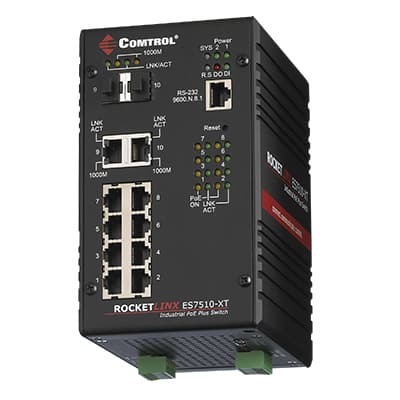 Comtrol's rugged Power over Ethernet switches stand up to hot, cold and harsh conditions. 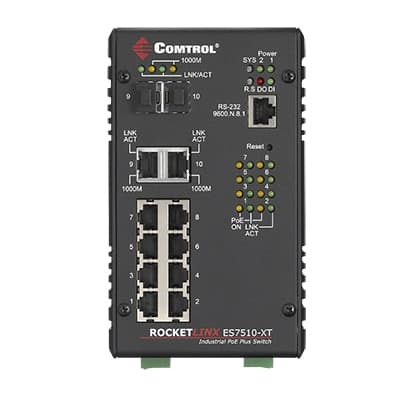 Dimensions5.0" x 6.3" x 3.7"
RocketLinx® ES7510-XT Quick Install Guide Quick guide to installation and configuration information.